Tamara Balenko graduated from Odessa State Art College with the major in Painting and Drawing and earned her MFA in Illustration and Book Design from the National University of Print Production in Kiev, Ukraine. Tamara has been working as a fine artist and illustrator and received numerous awards on both local and international level. During more than 20 years of teaching fine art and art history Tamara Balenko developed a unique methodology that allows her art students to participate in numerous art shows and recieve the awards. 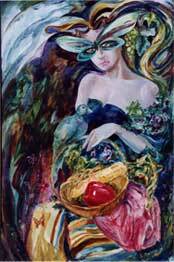 Tamara Balenko has been a member of the Ukrainian Artists’ Union since 1993. Tamara’s award-winning art has been exhibited in numerous countries, including Canada, Portugal, Poland, Belgium, and the United States. Among her collectors there are the Memorial Museum of Paul Verlaine in Metz, France, the Brunico Graphic Museum of Art in Brunico, Italy, and the National Museum of Kievo-Pecherscaya Lavra in Kiev, Ukraine. Tamara’s art works and biography were included in Encyclopedia of Modern Ex-libris in Portugal and Encyclopedia of Contemporary Ukraine. Vladimir Vasilyev obtained the Fine Art degree from Odessa State Art College in 1977 and moved to Kiev where he started two professional careers as a graphic designer and a fine artist. In 1988 he graduated from the National University of Print Production with MFA in Book Design and Illustration. In 1993 Vladimir Vasilyev became an Art Director of the Publishing House “KM Academia”. Vladimir Vasilyev currently works as a freelance graphic artist at All Electronics Corporation and multimedia design agency Digital Saddle Productions (DSP). Vladimir Vasilyev has been a member of the Ukrainian Artists’ Union since 1994. 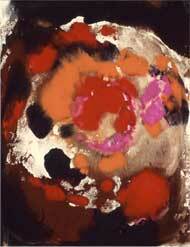 He participated in the numerous art shows in Los Angeles, New York, Santa Barbara and Kiev, Ukraine. The art works of Vladimir Vasilyev were published in Kiev magazine, Direct Art magazine, Art Acquisitor magazine and New Art International. Vladimir's art works and boigraphy were included in Encyclopedia of Contemporary Ukraine. Anya Zinoveva (aka Anya Vasilyeva) earned her Fine Art Certificate (Painting and Drawing) from the National Art School in Kiev, Ukraine and obtained BA with the emphasis on Graphic Design and Video from California State University, Northridge. 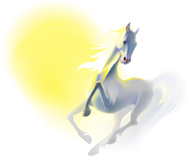 Anya is the owner and Art Director of a multimedia design agency Digital Saddle Productions (DSP). The work of Anya Zinoveva have been exhibited at “KM Academia” Art Gallery in Kiev, Ukraine , Art Gallery of Los Angeles Community College, Pacific Design Center, LA (First Russian-American Art Show "Unity In Diversity" and Life In Contrast ), Svitozor Gallery in Santa Barbara, Limner Gallery in New York, Art Association of Harrisburg, PA, Venturous Vanguard Video Festival (VVVF), Art and Design Center at California State University, Northridge, and numerous other locations. Anya’s works were published in Kiev magazine, New Art International, Direct Art magazine, and her biography was included in Who’s Who of American Women. Samanta Romeo graduated from Hollywood High Performing Arts Magnet in 2003 with Silver Seal Honors. She continued her art education at LA Mission College and received AA degree in Graphic Design in 2007. Samanta is currently pursuing her BA in Graphic Desing and Fine Art at California State University, Northridge. Samanta is highly motivated about teaching as she wants to inroduce children to her passion for art. "I want to see the same excitement on my face when I am making art on my students face when they are making art. I want to teach students how to channel their creative energy into positive outlets such as art." 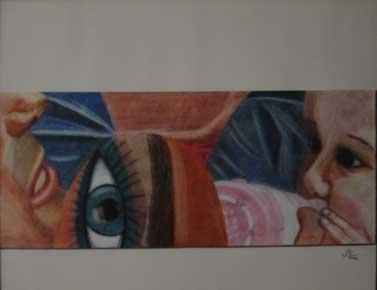 Samanta's art works had been recently shown at "META" art show at Los Angeles Mission College.